Custom SLR released a new camera accessory last year named the Air Strap. It is a totally different iteration from their Glide One Strap I reviewed a few years ago. The new strap is composed of a shoulder pad built from fabric that provides adequate ventilation between the pad and your body with neoprene padding underneath to add more comfort. 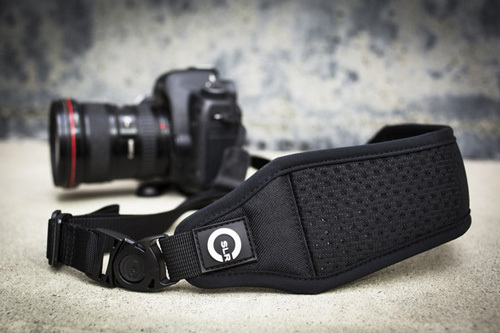 The two straps attach to the swiveling buckles of the pad on one side and provide a loop connector on the other side to attach to a C-Loop Camera Strap Mount or to the camera strap ring. 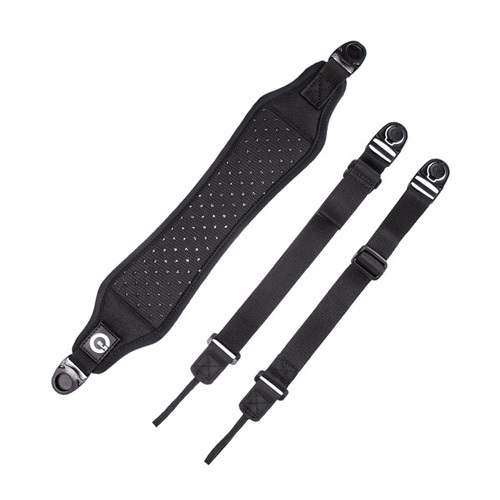 The magic of the Air Strap is its adjustable length; the front sling has an adjustable slider. You can pull it up to reduce the length of the strap when not shooting, and when ready to shoot, pull it down so you get a longer strap. In its shortest position, it will put your camera higher on your body, making it more comfortable to wear and easier to maneuver when walking. When extended, you have enough strap length to get the camera to your eyes and shoot comfortably. Compared to the Glide One Strap, the difference is that the strap pad may move on your shoulder as you bring the camera to your eyes. I had to readjust the pad on my shoulder from time to time, but it is a minor inconvenience. As for the Air Strap pad compared to the Camera Split Strap, I think the larger non split pad feels better to the shoulder. The Air Strap may take a few shooting sessions before you adapt to the pull-up/pull-down method to adjust the strap length, but once you get into it, you’ll find it enjoyable to use. It has become my new strap for my DSLR camera.